Great pix - this is a rare opportunity to see ERIC Trump. So far, the only Trump kids we really see is Ivana & Donald Jr.
Ewww! 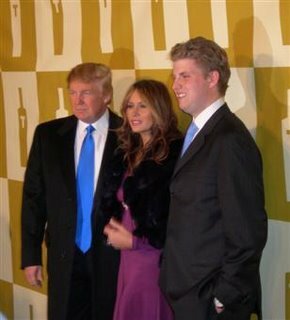 Trump's son is just as fugly as he is!